Wire connections encased in silicone. Plug connectors allow quick hooking and unhooking. 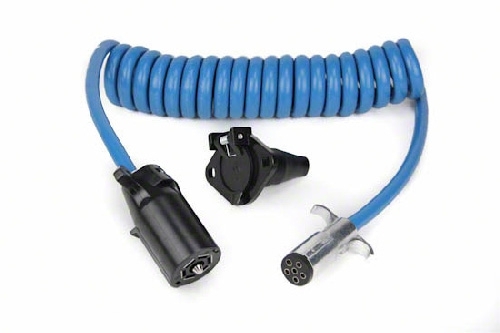 Locking connector and expanding cable virtually eliminate accidental disconnecting. 7 pin for the coach and 6 pin in the front of the car.